About the instructor: Bruce has been painting and drawing since childhood, and seeks to interpret through these media the beauty and magic in the world around us. He paints in a representational, but impressionistic, style and focuses on landscape/cityscape, still life and figure. He’s been trained as an artist at The Art Students League in New York City and at City College in San Francisco, as well as privately along the way. In recent years, he has studied “plein air” landscape painting with some of the top regional painters. Bruce lives in San Francisco and has a studio at Hunters Point Shipyard and currently gives workshops in both plein air landscape and studio still life painting. He shows his work at the SFMOMA Artists Gallery, at STUDIO Gallery and Arc Gallery, all in SF. He also has several Open Studios shows at the Shipyard throughout the year. Private appointments at his studio are also welcome. Check out Bruce's website here!. Description: Enjoy the challenge and pleasure of painting a landscape from life, “en plein air”. The workshop is for beginning and intermediate painters who want to learn to paint and/or improve their painting skills “en plein air”. You will learn the process of creating successful paintings outdoors using the painting medium of your choice: oil paint, water-soluble oils, gouache or other water-based media. Bruce will work with you individually in a hands-on, step-by-step fashion, guiding you from start to finish. He will focus on aspects of the process including composition, drawing, color, value, atmospheric perspective and paint handling. 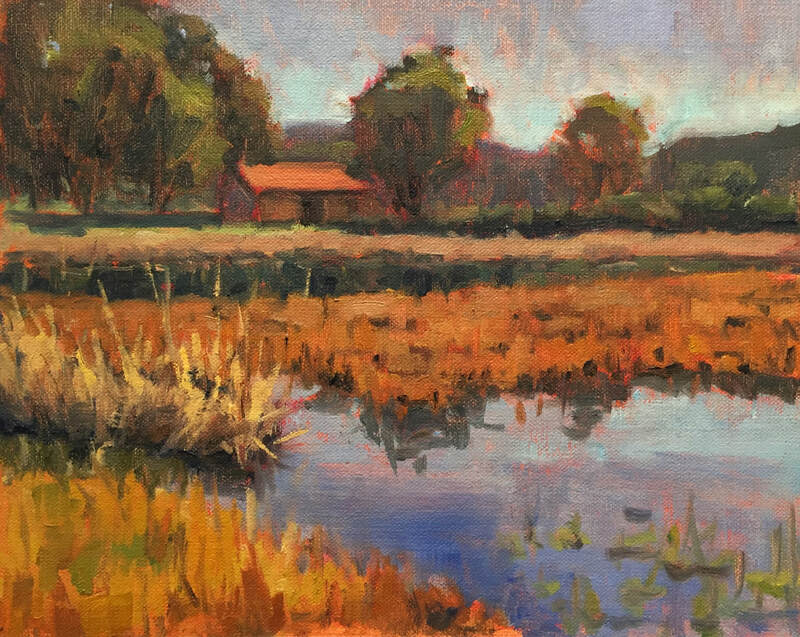 The workshop goal is that you’ll leave with the confidence and knowledge to continue developing as a plein air painter. The class will meet at a location in Alameda, TBD, which will be sent to you well in advance. 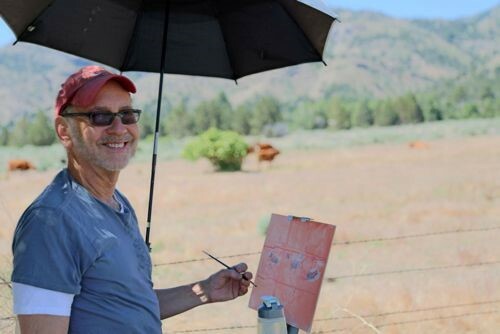 Bruce will begin with a demonstration painting to get the class started, followed by participants setting up and painting their own plein air subjects. Materials list: Will be provided upon registration, For questions about materials, please contact programs. Notes: Workshop limited to 10 participants; minimum enrollment required for workshop to proceed. Open to 18+ years of age. By enrolling you are agreeing the Frank Bette Center Cancellation Terms and Refund Policy.